The Saxon King Athelstan is trying to unite the kingdom of England for the first time, aided by his body-servant Edwin, the son of a shoemaker. Written by bestselling author, Stuart Hill, this exciting adventure story is perfect for fans of historical fiction and will have readers gripped from start to finish. After getting into a brawl with Athelstan the future king of England, fourteen-year-old Edwin certainly does not expect to become his body-servant. Now, Edwin sleeps in Athelstan's room, fights with him side-by-side in battle and, most importantly, becomes his close friend and companion. 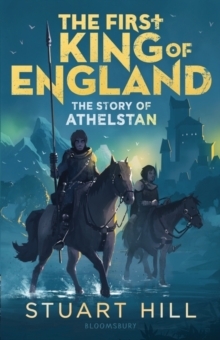 But as tensions between the warring kingdom grow and power shifts over the years, Edwin must protect Athelstan with his life in the fight to unite England. But will Athelstan and his Saxon army succeed against the Scots, the Vikings of Dublin and the Welsh of Strathclyde?This thrilling, dramatic tale is packed with great characters and insight into the world of Saxon Britain.